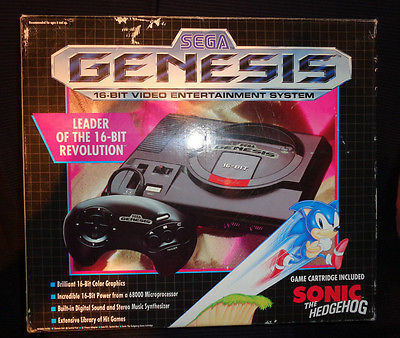 I was six years old when I received the Genesis/Sonic 1 bundle for Christmas in 1991. That was that. Sonic was my video game hero of choice. Mario was cool, I had nothing against him. But as fun as his games were, and despite his Italian plumber background, the mustachioed hero has always been a blank slate. Sonic had personality from the get go. From his sleek, aggressive design to his patented Super Sonic speed, Mario just couldn’t compete with Sonic’s inherent coolness. I played and beat all the Genesis games and even a couple Game Gear titles (hello Triple Trouble). 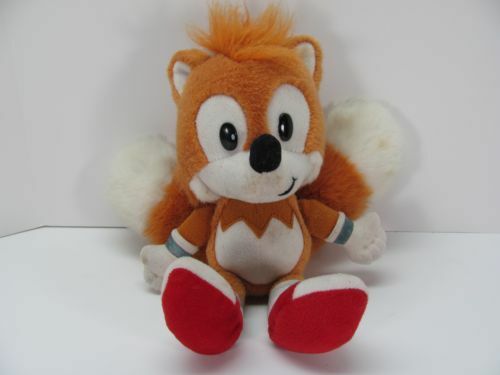 I read all the comics, watched both television shows (Sonic had 2 television shows in 1993, which is crazy), cuddled up with Sonic and Tails plushies (these were incredibly hard to find – Toys ‘R Us was constantly sold out of them). When the game quality began to dwindle in ’96 with Sonic 3D Blast, I continued to read the comic and even some fan fiction. By 1998, however, my childhood obsession drew to a close. Sonic hadn’t had a game of note in a couple years, and my interest in his extracurricular activities had all but vanished. Sonic Adventure 2: Battle on the Gamecube was the first new-ish Sonic game that I had played in years. It wasn’t perfect, but I was floored by how much I missed Sonic as a character. Even though he wasn’t in the game that much, and the platforming wasn’t at all like the 2D games (particularly the Knuckles/Rouge emerald searching garbage), SA2: Battle reminded me why I was a fan. I even enjoyed the janky platforming of Sonic Adventure DX and Sonic Heroes, but the unplayable Sonic ’06 and the almost-as-terrible Wii-exclusive Sonic and the Secret Rings made my love goggles fall right off again. Since the mid-’00s and the Sonic ’06 debacle, Sega hasn’t known what to do with the character. 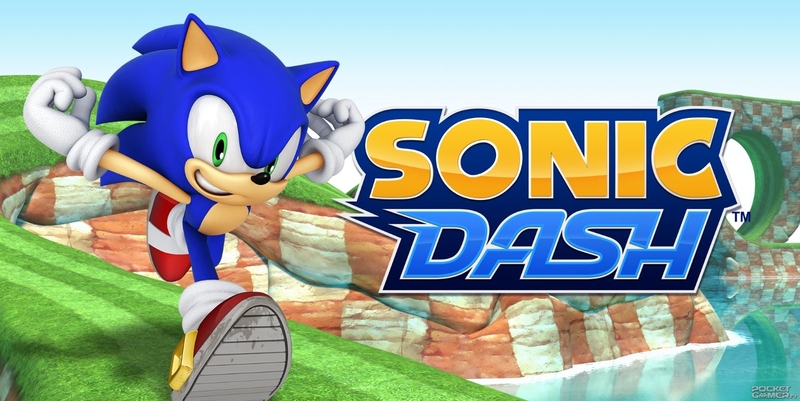 Every new Sonic game is a reboot of sorts, as if they’re afraid to settle on one particular concept. Sonic Unleashed had the much reviled Werehog mechanics, but was otherwise decent. Sonic Colors had some of the best 3D Sonic platforming in ages. Sonic Generations, with its split between old/new Sonics, was the most engaging traditional Sonic game in years, but it was released to commemorate Sonic’s 20th anniversary and was clearly a one-off. 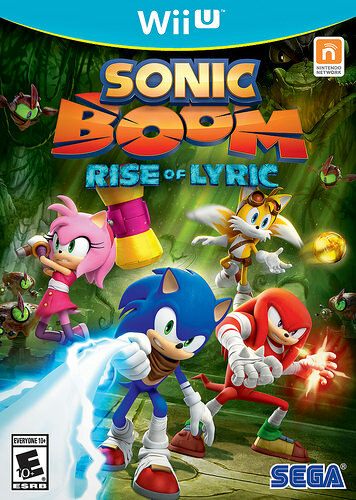 Sonic Lost World suffered mixed reviews, while the Sonic Boom Wii U game was as bad as Sonic ’06. Now, in 2016, Sega seems to be at a standstill. To a thirtysomething gamer like me, Sonic’s a large piece of not just my gaming history, but my childhood. Younger generations do not feel this way. My eleven-year-old cousin used to think Sonic was just a random Smash Bros. character until I informed her of Sonic’s long and storied history. She was interested, but not enough to seek out any other games (to be fair, I warned her against Sonic Boom). Outside of Smash Bros., Sonic is just another old game character to her, like Pac-Man was to me when I was a kid. My eleven-year-old cousin should be Sega’s target audience for Sonic, yet until I spoke with her, she had no idea about his past. Admittedly, she might not be representative of all preteens who play video games, but she’s also not clueless. Sonic’s just not on her radar. 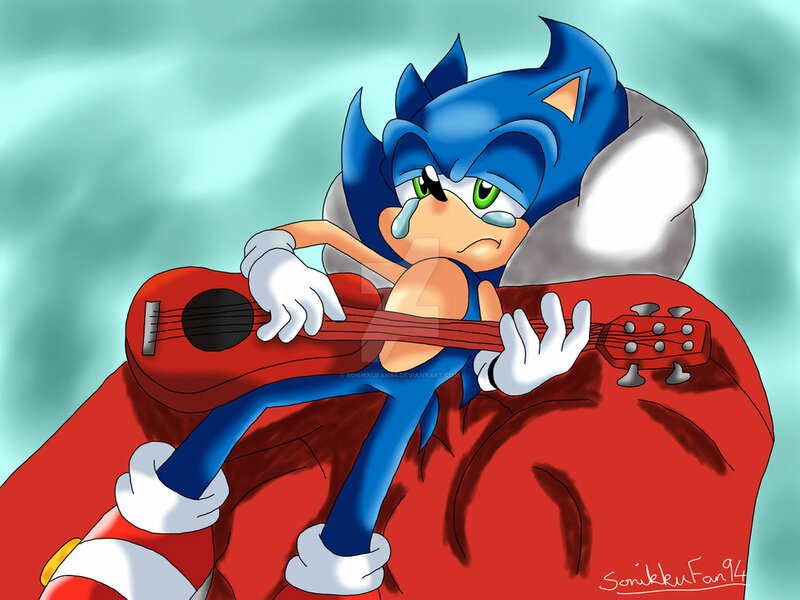 Sonic weeps over the loss of his popularity (thanks to SonikkuFan94 for this piece). Therein lies the issue: up until recently, Sega believed the Sonic name would provide the cachet needed to sell a million copies of a game. This might seem crazy to those of us who wrote Sonic off long ago, but the fact is, his games were selling millions of copies as recently as 2012. This just isn’t the case anymore. Many older gamers have moved on from the franchise, burned by one too many poor entries. Younger gamers have far more gaming options than we had in the 90s, and many of them are eschewing consoles altogether in favor of mobile devices. While Sonic has a fairly large presence on mobile with both old ports and exclusive titles alike, the platform’s transient nature doesn’t lend itself to the character’s longevity. But can he dash into our hearts? Even if Sega’s 25th anniversary celebration for Sonic raises public awareness for the character, Mario and Sonic are still a dying breed. They’re mascots whose respective companies still rely heavily on them for income. They are no longer rivals, but partners in a world that doesn’t really need them. If Sonic (and Mario, to a lesser extent) ceased to exist, we old-timers might be melancholy, but the younger generation would get by just fine on Minecraft and, er, whatever else kids play. On the flip side, I’ve heard good things about the “Sonic Boom” cartoon. Supposedly, it appeals to both kids and adults with funny dialogue and well-written characters. Whoever runs the Sonic the Hedgehog Twitter page has also done an admirable job in updating Sonic’s 1991 ‘tude to good ol’ modern snark. The Sonic comic, against all odds, is still going. And with SEGA Games CEO’s 2015 comments about Sega’s desire to win back fans’ trust, perhaps Sonic’s 25th anniversary will see a revival of interest in the character at large. Run, you tireless vagabond, run! You know I think a good studio needs to take a crank at Sonic. Want to know oddly enough what game kind of reminded me of Sonic but really wasn’t anything like it recently? Donkey Kong Country Tropical Freeze. It had lots of environmental based stuff that Sonic was known for. And even some speed stuff. After beating it, I was thinking I bet Retro Studios could make a killer 2D Sonic game. One with good level design and great 2D graphics. Or perhaps Ubisoft after seeing what they did with Rayman Legends. Hell I bet Nintendo could make a killer 3D Sonic and finally crack the code on that one, I think the great Sonic games were made by a team of experienced programmers that had been doing games for awile. Sega is not that anymore. But Nintendo is, Retro Studios is etc. That’s a really good point about Retro Studios. They got the killer 2D platforming down to a science with the DKC Returns games. As chummy as Sega and Nintendo appear to be, I don’t think Sega would ever allow Nintendo to develop a Sonic game. Too much pride there. Co-develop? Maybe. But no way would they let Nintendo take the reins. It would be awesome if they did, though! I think Sonic could make a return to form (like a famous film star disappearing from the spotlight then starring in a good TV show kinda level). It just depends if Sega could focus on a direction for him and stick with it! If I were in charge of Sega, I’d make a simple 3D reboot of Sonic 1. No Tails (yet), no other characters, just Sonic vs Robotnik. There would be a basic hub connecting six zones, with an emerald hidden in each zone. The likes of Green Hill Zone would be full of loops and be based on speed and while Marble Zone would be more about platforming. In my head, it plays like the Sonic parts of a much better looking Sonic Adventure…maybe that’s not the best example of a 3D Sonic game, but at least people liked that game! Start from scratch… I like it. I presume you’ve seen the two current Sonic Humble Bundles? One for the games, one for the comics. I’ve seen the one for the games, but not the comics?! I’ll have to check that out. Thanks for the heads-up! They should create a 2D Sonic game, the Sonic advance games (2001?-2004) were great games, and very good quality, but they seem to almost completely forgotten (or many don’t even know about them). those were my first (and unfortunately last) Sonic games. The Sonic Advance games were really solid. They need more recognition, for sure. The problem with Sonic is that the really fun levels are always the fast ones, but aren’t very immersive. The more immersive levels are not funner ones. The games are always struggling internally on what they should be. This was even evident on the very first Sonic game, which had some really fast fun levels and some slow platforming levels. Sega needs to focus on what people like – fast – and build on that, excluding everything else. The problem with that is… I like the slow platforming levels. And the fast levels! Only in the older 2D games, though. Most of the slow platforming in the 3D games are mediocre at best. I can’t be the only one who feels this way. 15+ (dare I say 20) years of bad decisions, sub-par games, and a general lack of direction have destroyed Sonic as a brand. Video game characters need at least one good, popular game each console generation to remain relevant. Sonic lost his way during the Saturn era and never really recovered. The Dreamcast’s Sonic Adventure could have brought him back, but it was a clunky mess that felt like a an attempt to ape Mario 64 and other 3D platformers of the day. That’s the big difference between classic (16 bit era) Sonic and modern Sonic. Classic Sonic games feel like foils to the competition. Modern Sonic games feel like copies of them. Ouch! I don’t really think all the 3D Sonic games are as bad as you think, but I understand your point. Sonic has, in many ways, fallen from grace and never recovered. I still clearly remember the day my brother brought home a Dreamcast on launch day. I tried out Sonic Adventure and within a few minutes, Sonic bugged his way through a railing and plummeted to his doom on one of the first platforming sections. After that, I pretty much just stuck with Soulcalibur. I don’t understand the hate on Sonic Adventure. The second was quite enjoyable. Maybe the first was bad and gave a lot of people a bad impression, which would be fixed later in the sequel. Agreed, Sonic Adventure 2 is pretty great. 2 might be a better game, I never got very far in it. The first time I heard that, I was mortified. Then the more I listened, the more I enjoyed it. The audio equivalent of Stockholm Syndrome. I don’t understand what SEGA is thinking with the way they handle the franchise. I get that they want to keep ‘innovating’ within the series, but it’s really time they listened to the fans for once. The most popular 2D Sonic games are the MD/GEN ones, and the best regarded 3D ones are Colors and the Modern Sonic parts of Generations. How they haven’t taken the Classic Sonic engine from Generations and made a full game using that is beyond me. Again, I get that they probably don’t want to resort to “simply” making a game in the style of the Genesis games, but maybe it’s a good idea to cater to the fans of the series and see where that gets them. Same goes for the Modern Sonic parts of Generation for that matter. Those were a lot of fun, but felt more like a sampler of the future of the series, than the final evolution of that particular style. At least the Classic Sonic in the 25th anniversary logo gives me some hope. I agree with this 100%. Innovation clearly isn’t the series strong suit, so maybe Sega should play it safe for awhile.